Two alphas fight a primitive urge to claim their mates, but when they find the women meant to be theirs, they’ll do anything to protect them. 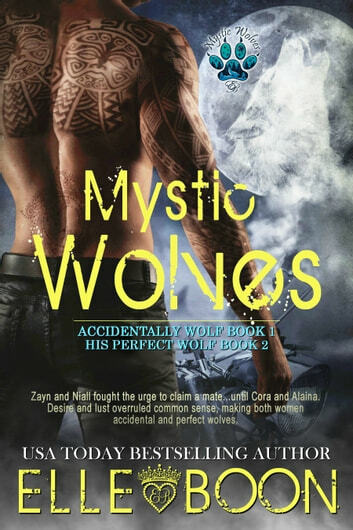 Niall—The alpha of the Mystic Wolves always put the pack needs first. He’d given up on finding love until he watched his brother Zayn fall for his mate. When he finds Alaina lost and injured, his wolf stood up and took notice, making him rethink the whole mate thing. Alaina—A lone female waking with no memory sucked, but the one thing she knew for a fact was; she wanted the big bad alpha. Danger followed Alaina to the Mystic pack, and the man she knew was hers would have to battle a pack of shifters who didn’t believe in fighting fair. A Love Worth Fighting For…Niall may not have wanted a mate, but Alaina was His Perfect Wolf to heal him. He would just need to keep her safe long enough to prove he was worthy and defeat the man who claims to be his mate’s father. I love this series. It is a book that grabs your attention and keeps it all the way through. Elle Boon is a amazing writer, every book i read so far has hooked me to the next one, her books are great reads about mystical and magical romances. 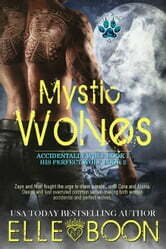 I thought it was a great and entertaining book i loved the characters! OMG I love the book it was the most awesome thing I have ever read in such a long time, thank you so much for the chance to be able to read it. The story is very captivating ,and has a lot of interesting charters. They each find the way in the ups and downs of life, secrets are exposed. love are formed, and family's . read and enjoy.